As governments worldwide clamp down on global tax evasion, some bankers are becoming whistleblowers or privateers. They are willing to steal and turn over confidential account data and turn it over to authorities. Some countries are even willing to purchase stolen information. Usually when we read of a data breach, it is hackers obtaining identity information so that they can steal money. In the offshore reporting arena, however, it is the government that gets the data, not criminals. Although we are not aware of the IRS paying individual bankers to steal data from their employers, the IRS will certainly use stolen information. United States law requires most holders of offshore accounts to report those accounts annually. Foreign accounts are listed on Schedule B of the individual income tax return and on an FBAR form, Report of Foreign Bank and Financial Accounts. 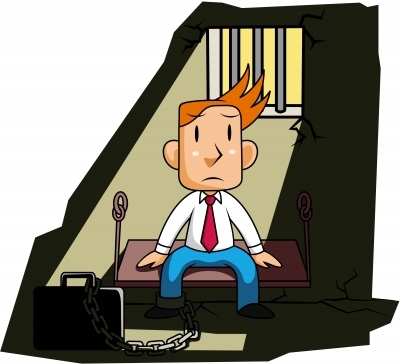 Failure to file an FBAR carries enormous civil penalties and can sometimes be a felony. As governments grow more aggressive in their enforcement efforts, some bankers are now willing to steal customer data and give it to regulators. Elmer worked for the Cayman Islands division of Julius Baer. Swiss prosecutors say he posted the stolen account information on WikiLeaks and also provided it to German tax authorities. Many of the names are believed to be Americans. Whether those customers had filed FBAR forms and properly reported their accounts is unknown but anecdotal information suggests many account holders were noncompliant. When Elmer left the bank, he was in charge of the Cayman office. He claims that he left after learning that subordinates helped clients engage in tax evasion. The bank denied those charges and say he is a just a common identity thief. Whatever his motivation, regulators now have the information. So what happens next? According to published reports, Elmer faces 8 months if convicted. (He already was detained several months after being arrested in 2010.) Meanwhile, tax officials worldwide are parsing through the information and looking for folks with unreported income or accounts. U.S. taxpayers with unreported foreign accounts and unfilled FBARs face huge risks. Failure to file an FBAR carries civil penalties that can quickly exceed the value of the account. 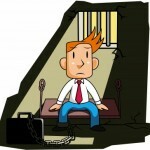 Willful violations can result in prison sentences. As more nations agree to exchange private account data, the risk of getting caught increases exponentially. If you have an unreported Cayman account, contact a tax lawyer or CPA well versed in offshore reporting and FBAR requirements. Often a good expat tax service can help too. Mahany & Ertl – America’s tax Lawyers. IRS services offered worldwide.